Editors’ Note: In October 2017 Catalonia experienced acute political and constitutional crisis following the holding of an independence referendum and subsequent unilateral declarations of independence from Spain issued by the Catalan parliament. Roughly one year on, we gather two diverging perspectives on the crisis and its aftermath, from Mireia Grau and Argelia Queralt Jiménez. On 6 and 7 September 2017, the Catalan Parliament passed two laws: the law on the unilateral referendum on self-determination and the transitory law (from the Spanish State to the new Catalan Republic), which sought Catalonia's institutional rupture with Spain. This rupture, already very serious in a democratic context, was possible because the representatives of 50% of Catalans unilaterally gambled to impose their venture on the other 50% of the Catalan population. Since then, we have experienced the shortest life of a Unilateral Declaration of Independence ever, by the decision of its own promoters. We have witnessed some public pro-independence leaders being remanded in custody (in my opinion, a disproportionate measure) as well as criminal charges of rebellion and sedition (quite questionable), while others fled justice, followed by the withdrawal of the European arrest warrant, which had previously been re-applied for and rejected, although only partially. We have seen the unprecedented application of article 155 of the Spanish Constitution with regard to Catalonia's self-government. A year has passed by, but the current Catalan Government is still immersed in an unreal discourse, built on misinformation, typical of the new ghost haunting Europe: populism. The object of this post is to review some key ideas of this “process” to show that the secessionist movement has experienced a clear “populist drift” (Barrio, Barberà and Rodríguez) . To begin with, there are no political prisoners in Spain. The pro-independence supporters have promoted the idea that the politicians remanded in custody should not be there, because they limited themselves to defending their ideas peacefully and that, therefore, they cannot be charged with any criminal offences. This assertion poses a question regarding the very conception of the democratic rule of law. It is true that the September laws were enacted in Parliament and without violence, but it is utterly false that they were performed through democratic channels: they ignored the minorities (in fact a majority in this case as they represent less than half of the Catalan population) in Parliament, the rights of the opposition deputies were disregarded, and parliamentary procedure was deformed beyond all recognition. An illegal referendum was held without any guarantee, and independence was unilaterally declared. Those responsible for these decisions must assume their legal responsibilities, just as they would in any democratic state around us. Not for having committed rebellion, an offence in which it is difficult to classify what happened, but for having broken the constitutional pact of coexistence. The majority of international legal experts state that Catalonia is not entitled to the right to self-determination, because it does not meet the requirements established by international law and its various bodies of interpretation and application. Thus, the Charter of the United Nations of 1945 recognizes, as a general principle, the self-determination of peoples, together with the principle of the territorial integrity of States. In 1960, the General Assembly of the United Nations adopted Resolution 1514 (XV) on the Granting of Independence to Colonial Countries and Peoples. This Resolution expressly aimed at recognizing the self-determination of peoples addressed to colonies. Later, it was also recognized in Resolution 2625 (1970) that the right to self-determination within the framework of a liberal democratic State shall not affect its territorial integrity or political unity. So in a democratic State, such as Spain, it is understood that self-determination does not imply secession. Actually, recognition of the current situation of self-government of Catalonia would be one of the ways to fulfil self-determination while respecting the territorial integrity of Spain. The possibility of applying the doctrine of ‘remedial secession’ that was applied to Kosovo or South Sudan to Catalonia has also been suggested. However, comparing the Catalan situation with Kosovo or South Sudan represents a lack of awareness of what is going on in that Region. Any comparison with those regions of the world is frivolous. A different thing is to defend that, in the face of the evident political problem existing in Catalonia regarding its accommodation in Spain, it should be considered that democratic principles advise that such a problem must be solved through the application of political tools. One of these tools could have been a consultation or referendum, as I have had the opportunity to defend together with J. L. Martí. However, it must be borne in mind that such a decision must be taken by means of an agreement between the central government and the autonomous government. In a democratic context unilateralism is not accepted. This is what happened, incidentally, in Scotland (here is the Edinburgh Agreement) and Quebec. A third point that I would like to stress it that notwithstanding the Catalan Government’s grievance, Spain is indeed a democratic State; it is imperfect, of course, and with problems, some of which are undoubtedly serious, but it is globally accepted as a full liberal democracy. This is shown by different international rankings on democracy, as Prof. Pau Marí-Klose showed us a few months ago. As I have explained on other occasions, in the field of human rights the ratio of pending claims per inhabitant before the European Court of Human Rights in 2017 was similar to that of Belgium, France or Denmark, with 0.14, compared to Italy (0.23), Greece (0.31) or Turkey (3.25). In fact, and although it cannot be compared to the results of a referendum, the results of the last election in Catalonia were 2.228.421 votes supporting non-independence or, more accurately, no unliteral independence, and 2.079.340 votes supporting it. There is not a unique and homogeneous population in Catalonia claiming independence. At most, 49% of citizens support it. Of course, such a percentage is considerable, and that is why the situation deserves political answers. 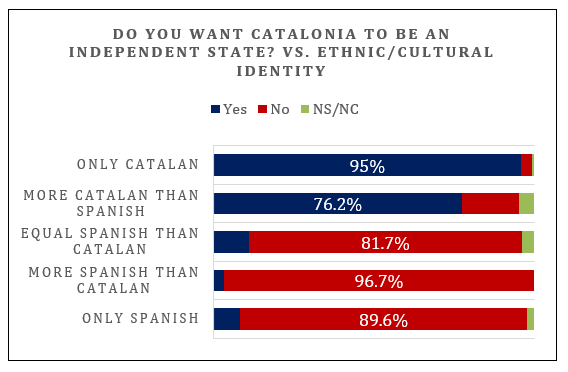 But, 49% is not even a great majority of the population of Catalonia. The drama behind this scenario is that Catalonia is currently experiencing an absolutely polarized situation. The new Spanish Government, led by Mr. P. Sánchez, has changed the way of dealing with the Catalan crisis. However, they cannot stop the criminal proceedings against the secessionist leaders, neither can the Government compel the Judiciary to release the politicians remanded in custody. But, while the proceedings unfold, politics should govern the relationship between the Spanish Government and the Catalan Government. In the judiciary field, they should scrupulously respect Spanish Criminal law in order to administer justice, not some kind of revenge. Our constitutional legal system is at stake. 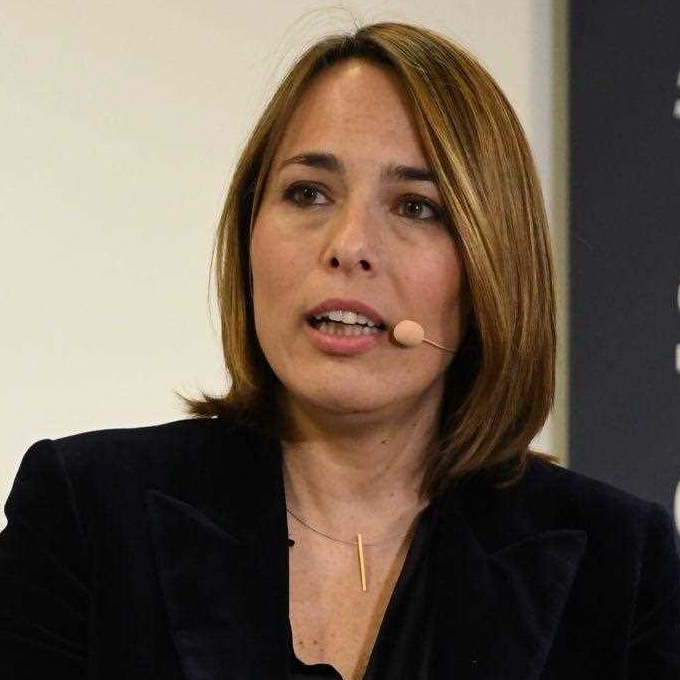 Argelia Queralt Jiménez is Associate professor of Constitutional Law at the University of Barcelona.